LegworkTM gives you those luscious "to-die-for" legs you have dreamt about. Our high concentration of cocoa butter allows the skin to stay moist and allow for maximum tanning darkness. The additions of macadamia oil, shea butter, and natural bronzers helps achieve a Summer Time Glow all year round. • Serum Formula - Utilizes Tea Tree Oil, Acai Oil and Pomegranate Oil to protect skin from environmental damage. • Extreme Tan Enhancers - Provides the darkest tan imaginable. • Ordanone - Eliminates after tan odor. Serum Formula - Utilizes Tea Tree Oil, Acai Oil and Pomegranate Oil to protect skin from environmental damage. Extreme Tan Enhancers - Provides the darkest tan imaginable. Ordanone - Eliminates after tan odor. Moisturizing Ultra-dark Bronzer Infused with Nouritan and Mangosteen Our lotion for those who crave the Ultimate Dark Color! Extreme Situation™ brings your tan to a whole new level of darkness. Infused with Nouritan, to stimulate tyrosine activity, Devoted Creation's ultra-dark bronzers will get you black. No other lotion delivers our breakthrough multi-skin layer moisturizing complex with Hydrovance® , Matrixyl® , and Mangosteen. Ultra-dark Bronzing- A combination blend of natural bronzers that will leave you darker than ever! 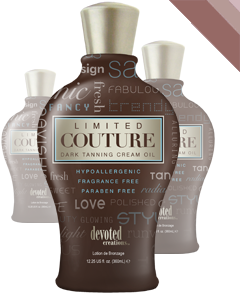 Skin Moisturizing - our breakthrough multi-skin layer moisturizing complex delivers unbelievable results while tanning! Mela-DarkTM Complex - Interacts with the skin to produce the most natural looking dark tan. Acai Oil - A powerful fruit oil loaded with antioxidants. MatrixylTM- Targeted anti-aging complex that reduces the appearance of wrinkles. Ester-C - Protects the skin from free-radical damage, promotes even pigmentation and replenishes the skin’s moisture barrier. Protect your eyes during UV exposure for health or cosmetic reasons. 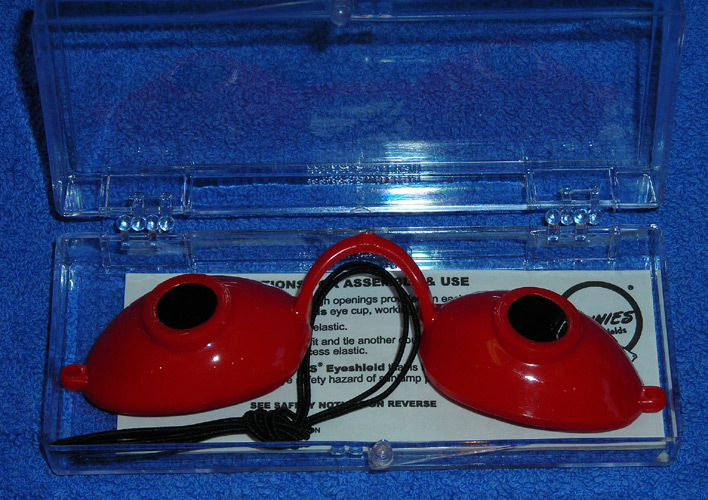 Prevent eye injuries. For sun lovers, salon tanners, and medical patients taking PUVA or UV light box therapy. World Class SUPER SUNNIES® brand Eyeshields have a flexible high-rise nosebridge to eliminate tan lines and an elastic headband to assure perfect fit. Performance Standards for Sunlamp Products. Small size allows maximum facial exposure. Pure hemp seed oil and extract are rich sources of essential fatty acids, amino acids and nutrients vital to providing skin hydration, nourishment and conditioning. 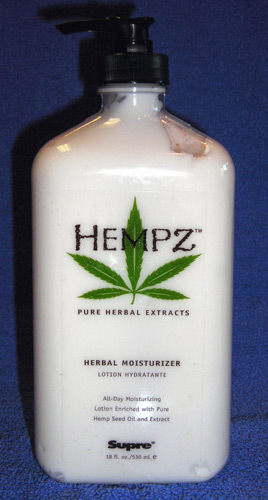 Provides 12-hour moisturization. THC-Drug Free. 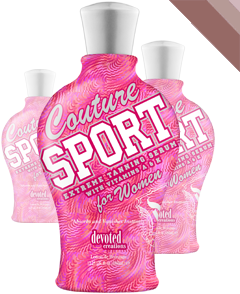 Available in: 18 oz., 2.5 oz. and 0.25 oz. 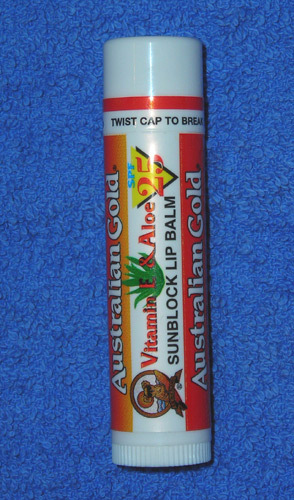 Product Specs: .15 US oz. Achieve dark and irresistible results with an amazing 5 Accelerator Complex. 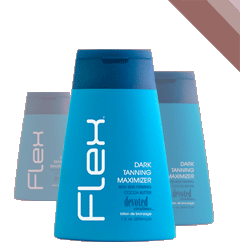 Flex™ utilizes Cocoa Butter to help fight against stretch marks and provide your skin with a healthier looking appearance. Product Specs: 7 US fl. oz, .5 US fl. oz. 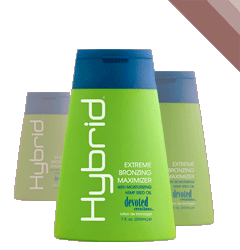 Hybrid™ provides the extreme bronze tan you crave. Infused with organic Hemp Seed Oil, Hybrid™ saturates your body and continually restores and replenishes moisture, defying the tanning plateau. Blush Bronzing Maximizer. 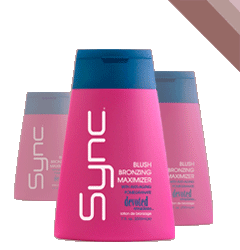 Sync™ offers 5 Bronzers, 6 Firming Agents, 5 Accelerators for immediate results that last for days. Infused with pomegranate to help battle damaged skin cells, providing the appearance of younger looking skin. 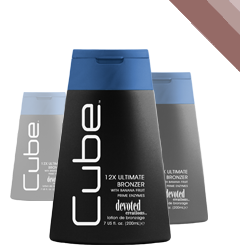 Cube delivers the most ultimate bronzing experience for those looking for that perfect dark bronze tan! Infused with banana fruit prime to give your skin the ideal moisturization for a great tan. "Go 3 shades darker in 1 session!" 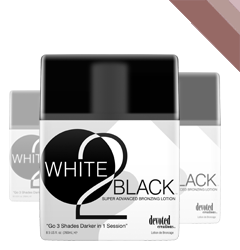 Let White 2 BlackTM take you to the dark side. Powered by multiple bronzers and tyrosines, notice the difference in 1 tanning session! 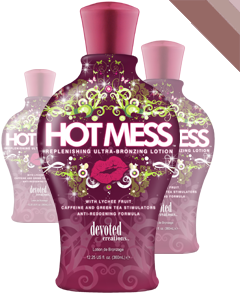 Jump start your body, skin and tan with our Hot MessTM breakthrough formula. Designed to provide your body essential nutrients for hydrated, healthy-looking skin utilizing Lychee Fruit and Green Tea. Caffeine and Matrixyl will energize your soul and help reduce the signs of a late night out .... enough said. Ultra-Bronzing- The most harmonious blend of natural golden bronzers for the Red Carpet. Green Tea Extract- our solution of superoxide-scavenging antioxidants is our strongest free radical neutralizer. • Ginseng - Helps combat skin aging and reduces fine lines. Coconut Oil-Excellent moisturizer that prevents dryness for all skin types. Macadamia Oil- Quickly penetrates the skin to soften, tone and moisturize. Matrixyl-Targeted anti-aging complex that reduces the appearance of wrinkles. dark color, giving a healthy looking golden glow. Silicone Emulsion™ - Provides a soft velvety feel to the skin that lasts the entire day. Matrixyl™ - Targeted anti-aging complex that reduces the appearance of wrinkles. Product Specs: 12.25 oz. , .7 oz.